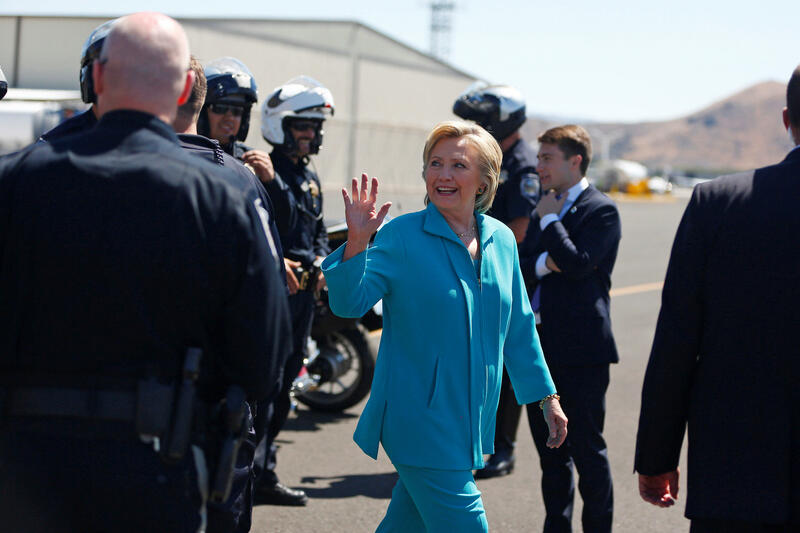 Democratic presidential nominee Hillary Clinton received her first national security briefing in New York Saturday, arriving at an FBI facility in the morning and departing after a little over two hours. Clinton attended the briefing in White Plains, New York, alone. No aides were with her. Earlier this year, House Speaker Paul Ryan asked Director of National Intelligence James Clapper to prohibit Clinton from receiving security briefings “for the duration of her candidacy for president” after the FBI had deemed her “extremely careless” in handling classified information over emails while she was secretary of state. Clinton, upon the FBI’s recommendation, was not charged by the Justice Department in its investigation of her private email server. Clinton routinely received intelligence briefings as secretary of state under President Obama, but Saturday’s meeting was her first such national security overview since her candidacy. Republican presidential nominee Donald Trump received his first intelligence briefing earlier this month. CBS News’ Hannah Fraser-Chanpong contributed to this report.